What is behind the OFF-GRID Experts Workshop 2019? power systems and the off-grid power supply, which has since firmly established itself in the scene. Figures, data, facts: an overview. What is it all about? Three days of interaction, innovation and infotainment around the independent power supply. Who is coming? Experts from the off-grid industry and those who want to become one. What has happened so far ... Since 2011 more and more participants, more discussions and more enthusiasm, also at the exhibitors and event partners. With a constant extended and optimized program, the workshop will be now the most important and established off-grid event in the industry. 2017 figures: Around 450 participants from Europe, Africa, Latin America and the Middle East and 40 Exhibitors took part. 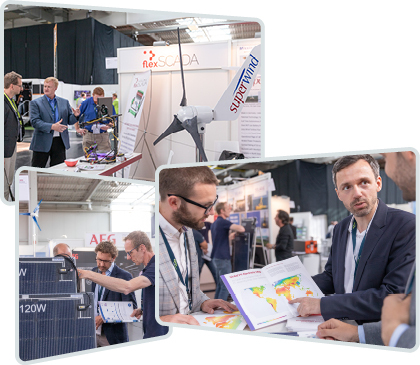 In our opinion the OFF-GRID Experts Workshop is the best opportunity to inform its visitors about the available Victron Energy solutions for the world-wide off-grid market. It bundles the network in a very professional way! We will inform (potential) customers from the theoretical side up to hands-on training. 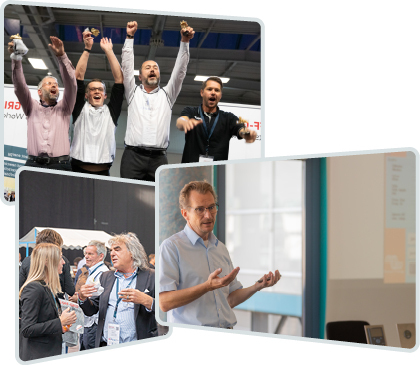 See you 19th – 21 th September 2019 at the OFF-GRID Workshops in Augsburg Germany! If you are active within off-grid electrification, this is the one workshop to attend. As off-grid specialists we have been present since its beginning in 2011 and each year it provides new, valuable insights. 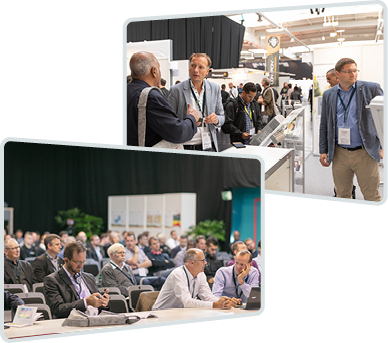 For many years, the OFF-GRID Experts Workshop has offered Steca a per-fect stage to meet and inform insiders and interested parties from the entire OFF-GRID world. No less important to us is the feedback from the market we get at the OFF-GRID Workshop from September 19 to 21, 2019. We are looking forward to seeing you again. Participate? That‘s how it works. 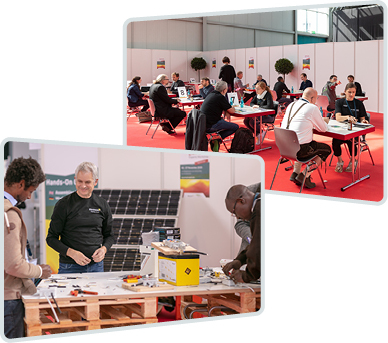 Support the OFF-GRID Experts Workshop as a partner and present yourself at the exhibitor area, through participation in the programme and on numerous advertising media. Present your company, your services and products of a selected and interested target group at your own exhibitor space. Intensify your knowledge, exchange ideas with other specialists and get to know new ideas and contacts. Get an overview at the exhibition about technologies, innovations and services of the industry. And exchange yourself directly with decision-makers and specialists. Your way to new ways: the location. The new venue Messe Augsburg is located in the centre of the three airports Munich, Memmingen (Munich West) and Stuttgart as well as the motorways A8, A7, A9, A99, A96 and the Federal roads B17, B2, B10 and B 300. Augsburg on the growth axis Munich - Stuttgart. Very good connections to Austria and Switzerland. Unique network of high-tech and environmental companies. Augsburg is centrally located in one of the most successful and most innovative economic areas in Europe.